Welcome to your FSBO Research Center! In the Real Estate Industry this means “For Sale by Owner”. 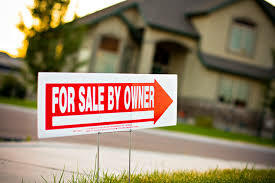 Many of you are selling your home FSBO because you want to make sure you net the most amount of money possible and you do not want to pay a Realtor commissions OR you know someone that may have had a bad experience with an agent and you do not trust them. Am I right? 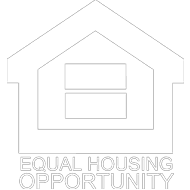 Either way I am driven to help anyone and everyone with all their Real Estate needs whether I represent them or not. So… I hope what I have put on this page will benefit and help you sell your home and more importantly get you the most amount of money possible! Decide if you really want to sell the home on your own OR hire a professional Real Estate agent like me. Here are some things to think about before you embark on this endeavor.  What is the current Real Estate market conditions in my area? What is the correct value to sell my home in today’s market? Should I advertise? When, Where, and how much will it cost? Am I prepared to take phone calls at all times to respond to inquires? Can I identify the qualified buyers from the “browsers”? Am I willing to show my house during work days, evenings and weekends? Do I mind being alone in the house with a complete stranger? Can I negotiate realistically and Impartially? Can i assist a buyer with financing information? Do I understand financing, second mortgages and other variables? Am I familiar with the requirements of real estate disclosure law? 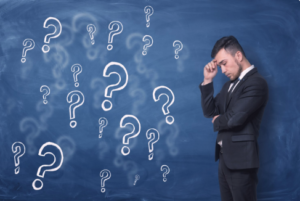 Do I understand all the aspects including title insurance, legal descriptions, termite inspections, home warranty, taxes, easements, liens, trust deeds, etc…? Am I prepared to handle the final walk-through with the buyer and settle disputes before closing? Do I know how to complete all the contracts and paperwork? BONUS QUESTION: Would I prefer to say “Please call my agent”? If you said YES to all of those then you are well on your way to selling your home on your own! Lets move to the next step. 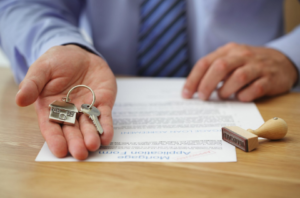 There are numerous statutes which have a significant effect on real estate transactions. Be advised the laws concerning disclosure obligations may change, you should research the area of interest before proceeding and consult an attorney or a knowledgeable real estate professional. Not only is it the law to disclose but also in today’s world there are many insidious people that may try and pray on the unsuspecting FSBO and you want to make sure you have all your P’s and Q’s in order during and after the transaction! Below I have included some of the disclosures you may need. If you still are wanting to sell great! If you are maybe having second thoughts call me at 951-310-6920 or Click Here to schedule a time online to talk! This is an important step! As a Realtor I know how important this can be. The escrow is basically the nuts and bolts of the transaction. But really what is escrow? Escrow is an arrangement where you use a “third party” (somebody who is neither the buyer or seller) to hold something of value. That third party helps to make the transaction safer by ensuring that both the buyer and seller meet their obligations. Ideally, the escrow provider is a disinterested (or neutral) third party who doesn’t care whether the buyer or seller comes out ahead. The job of an escrow service is simply to ensure that everybody sticks to their end of the bargain. When you agree to buy or sell something, you agree to do certain things: The buyer will pay the agreed upon amount by a specific time, and the seller will provide the asset being sold. Of course, most transactions are more complicated than that. So you can see how important escrow is. They have their hand in every moving part of the sale. If you pick the wrong escrow company they can make the transaction difficult and even worse costly! Make sure you do your homework and pick the right Escrow for the job! If you have questions just call me at 951-310-6920 or schedule a time to talk online and Click Here. Lets start and ask what is title exactly. Land is as old as time itself. Like the structures built on it, land is “real property”, meaning that it can’t be moved or hidden. Because real property is valuable, many people want to claim ownership. “Titles” came about as a means of legally proving who owns the property. Long lost relatives or past owners could show up, sometimes from long ago, with a claim to the property that supersedes yours. Sometimes people fraudulently sell houses that don’t belong to them. For example, the husband of a divorcing couple could forge the signature of his wife, and abscond with the proceeds of the sale. In a court of law, the rights of the wife could be upheld and the property could go to her, no matter how much money an unsuspecting purchaser had placed in the house. To obtain loans, people often use property as collateral(security against nonpayment). If someone doesn’t pay back a loan, the lender holding the lien has a legal right to sell the property to get the money to repay the loan—even if the house has since sold to a new owner. The lien on the house if the lender’s claim to the property as payment on the debt. Unless the debt is repaid and the lien released, the lien stays with the house even when it changes ownership. 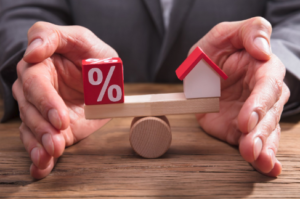 With today’s booming refinance and home equity markets, lenders’ interest in properties has increased exponentially and both lenders and county recorders are challenged to keep up with the documentation. 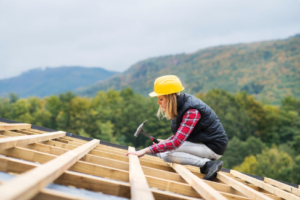 It’s more likely than ever that an unrecorded or unreleased interest in your property could be out there, making title insurance more important now than ever. An easement is a right to use the land of another for a special purpose. For example, the city may have plans to build a sewer line sometime in the future. 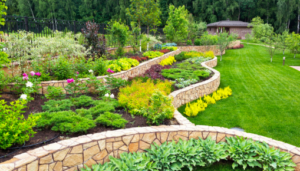 If the sewer line runs through the back of your yard, and if the city has an easement on the underground portion of your property, this might cause you to lose your prize roses, or prevent you from building a pool in your back yard. If a homeowner fails to pay property taxes, local, state or federal tax authorities can obtain a lien on the home, which gives the government a claim to that property in case of nonpayment of debt. If the owner sells the home without settling the tax lien, the tax authority can legally ask the new homeowner to pay the original homeowner’s back taxes. And if the new homeowner fails to comply, he could lose his new home. How do you protect yourself from mistakes, fraud and other complications? Through title insurance. It protects your claim to your property from potential problems caused by irregularities that may have occurred in the past. Dollar for dollar, it’s one of the most cost-efficient forms of insurance for home-owners. A one-time premium covers you against legal problems that could cost tens of thousands of dollars—and even the loss of your home.—for as long as you own your property. So Like the previous section do your homework to find a good prompt Title Company! If you have any questions just call me at 951-310-6920 or Click Here to schedule a time to talk online. The big key here is that first impressions are lasting impressions and this is the most important part of the sale! Your major role as a seller will be to make your home as attractive as possible to potential buyers. The time, effort and limited financial investment involved can give you the competitive edge needed to sell your home when you want – at the price you want. Fences and gates are repaired and repainted if necesary. A SPOTLESS INTERIOR WILL REINFORCE YOUR HOME’S GOOD FIRST IMPRESSION If your home’s exterior looks clean, orderly and in good repair, that’s the impression your house will first convey.If you have planned to paint the house within the coming year, consider painting the house before showing it. A new paint job, well done, will normally enhance the sale value a good deal more than the cost of the paint. 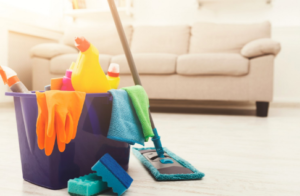 Interior dirt and clutter can obscure your home’s good points, so start with a full house cleaning from top to bottom. Store unused or unnecessary items in closets and storage areas or hold a garage sale. Eliminate clutter and your home will look more spacious – an important selling point. Badly worn furniture is temporarily stored in family’s or neighbor’s attic or basement. Consider painting walls and replacing carpeting if cleaning doesn’t do the trick. OVER-IMPROVING DOESN’T PAYIt is also important to keep lighting in mind when you show your home. Good lighting will make your home seem more cheery and spacious. Don’t plan major improvements on your home. 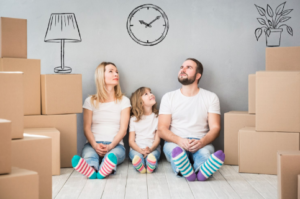 Most home buyers want to make their own major changes. You are usually wiser to sell them the potential – at a price they can afford. Showing your home is all important to its sale, and there are many ways you can make sure its done successfully! Children and pets are sent outdoors to play or otherwise entertained to eliminate confusion and to keep the prospect’s attention focused positively on your house. Magazines and children’s toys are in order. Be courteous, but don’t force conversation with the potential buyer(s). Never apologize for the appearance of your home. Emphasize the features of your home. 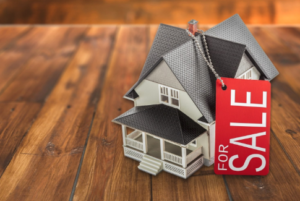 The goal to marketing your home is to expose it to as many buyers as possible because we all know the more buyers we expose the home to the more chances we have of getting an offer and in many cases multiple offers. So how to we do that? 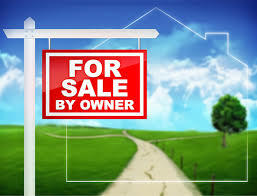 Here is a list of some ways to advertise your property in today’s market. Place a For Sale By Owner Sign in your front yard. Hold an Open House and place signs all throughout the neighborhood and major intersections. Create a Single property website. Tell all your friends and family. Go knock your neighborhood and ask neighbors who they know.